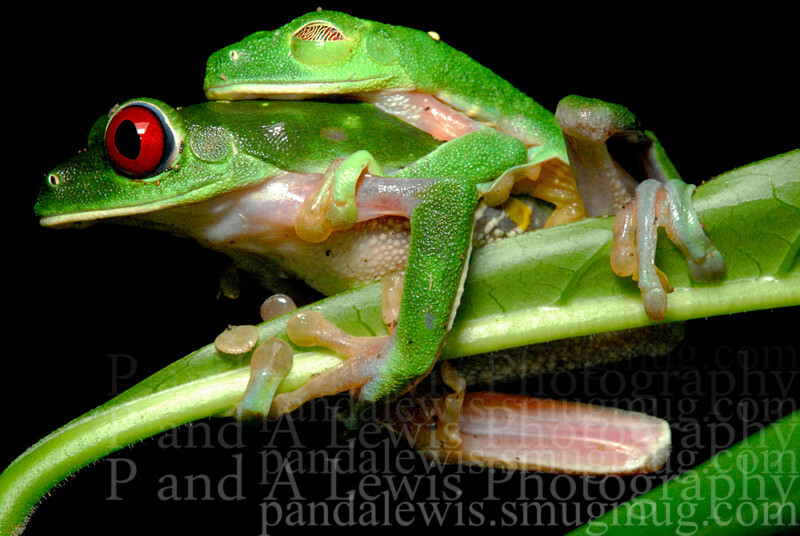 Red-eyed tree frogs in amplexus, near Corcovado National Park, Costa Rica. January 2009. We usually are pretty successful avoiding anthropomorphizing but it's hard to resist labeling that guy's "expression" without using words like "blissful contentment" and the like. This is a great photo. Anthropomorphize all you want. And keep on shooting.